Mr Kingi Smiler sign the sponsorship agreement. Massey University is demonstrating its support for the Māori agricultural sector by becoming a sponsor of the Ahuwhenua Trophy, BNZ Māori Excellence in Farming Award. 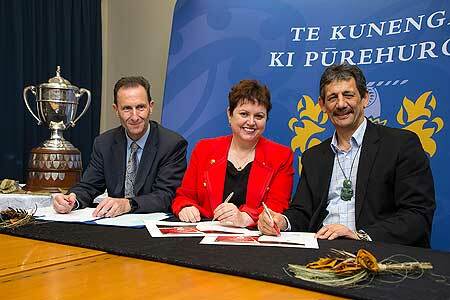 The College of Sciences signed the sponsorship deal at a ceremony on the Manawatū campus attended by the Ahuwhenua Trophy Management Committee Chairman, Mr Kingi Smiler, Vice-Chancellor Professor Jan Thomas and the Pro Vice-Chancellor College of Sciences Professor Ray Geor. The Ahuwhenua Trophy has a long history dating back to its launch 85 years ago by visionary Māori leader Sir Apirana Ngata and the then Govenor General, Lord Bledisloe. Sir Apirana saw the competition as a way of encouraging Māori farming skills and retaining and improving what remained of Māori land. 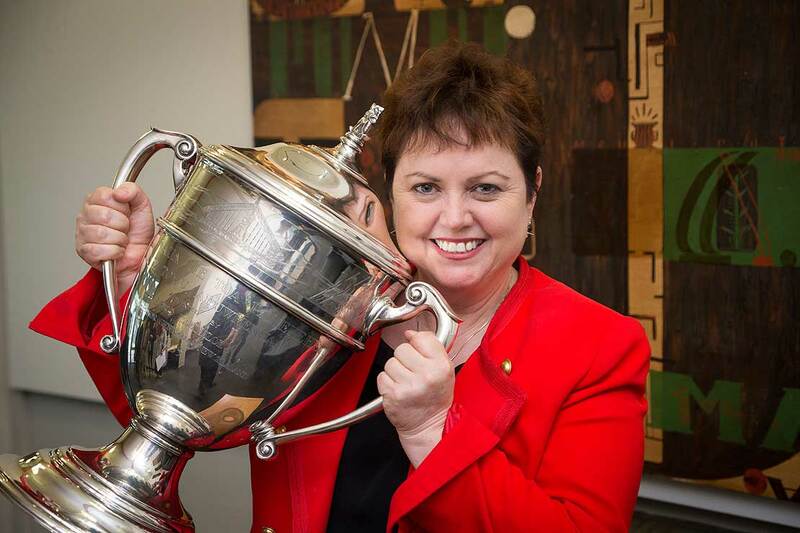 Today the trophy remains one of the greatest accolades to win in Māori farming and the competition is alternated between dairy one year and sheep and beef farmers the next. In 2018 it will be the turn of dairy farmers.